Star of the North Maternity Home: Our Together for Life Northland Collaborative members are convinced more than ever that, with your meaningful help, we are collectively laying the groundwork for what will soon be a much-needed and long-overdue Christian home for pregnant women. We are Duluth are hopeful to be opening the maternity home in the spring of 2019. It is vital that we expand our outreach and share our vision with new people and organization that also care deeply about helping women and their babies. One way to help us reach our goal is to share information from our website to your friends on social media or through email. We have a video link from our banquet that includes Rusty’s Keynote and Fr. Ryan’s Financial Appeal, photos from our wonderful “Slice of Heaven” evening together, and more! Visit us at www.TogetherForLifeNorthland.org. You can also help by joining us on our TFLN Facebook site Facebook/com/TogetherForLifeNorthlandOrg. Curious About China? Father Dave Tushar is again offering the opportunity to experience a true “Taste of China,” visiting Beijing, Xi’an, Chengdu, Suzhou and Shanghai from October 7 to October 22. Arrangements are through Hua Travel, a Chinese agency specializing in small group tours. This is not a pre-packaged tour, but a customized small group tour with the same experienced Chinese tour guide during the entire trip. Trip includes round trip air (economy booking) with Delta from Minneapolis and back to Minneapolis, accommodations at 5-star Hotels with buffet breakfasts and travel within China. References are available. Could this be the Christmas or New Year’s gift for another or yourself that you have always thought about? 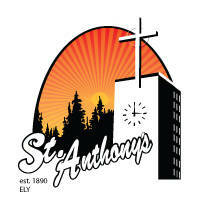 For detailed tour information and pricing, please call Father Tushar at 218-384-4563. Deadline: June 1, 2019. 50th Anniversary Celebration: Rev Fr Eamonn Boland and Rev Fr Charles Flynn were ordained to the Priesthood in Ireland in June of 1969. You are cordially invited to join them in celebrating their 50th Anniversaries with a Mass at Resurrection Church in Eveleth at 3 pm on Sunday, June 9th - followed by refreshments. DDCCW Spring Convention: Always a great day to spend with other Catholic Women from the north! Just $20 provides interesting speakers, lunch and Mass celebrated with Bishop Sirba. Contact Marilynn Klick if you are interested in attending.